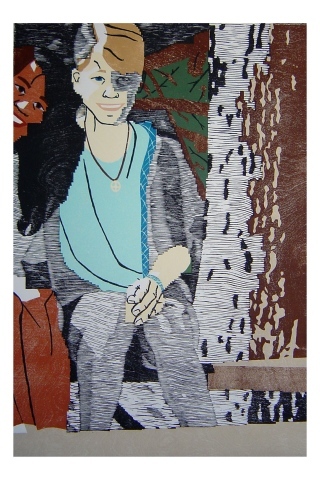 Cropped from snapshots, the color woodblock prints explore the influences on and progression of my life. 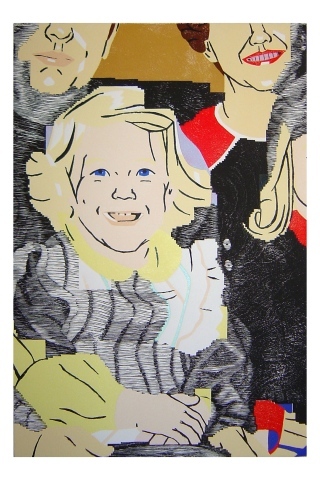 Significant parts of the memory are emphasized through color, while less important areas are left black and white. 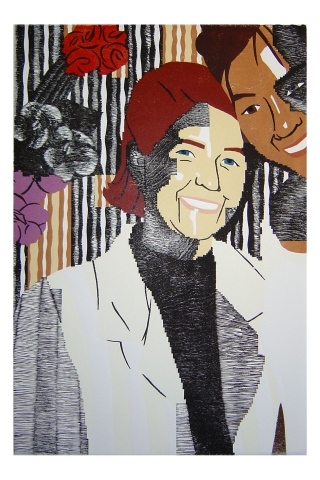 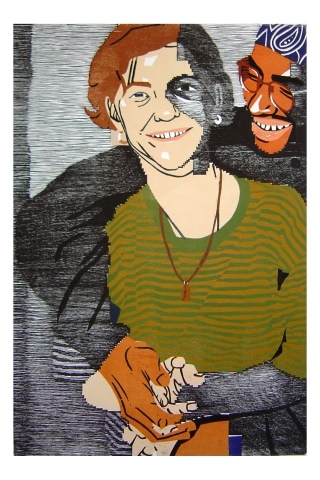 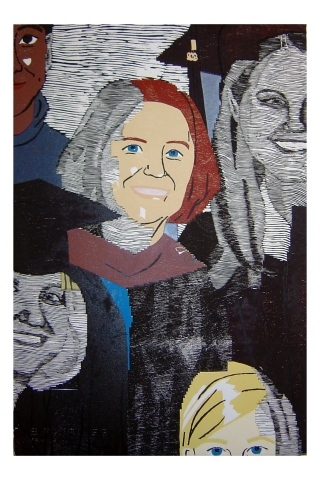 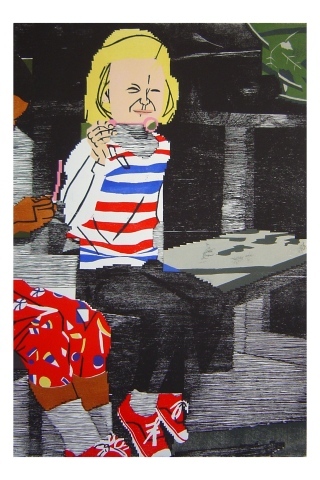 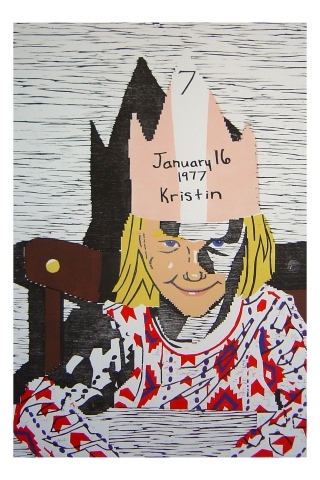 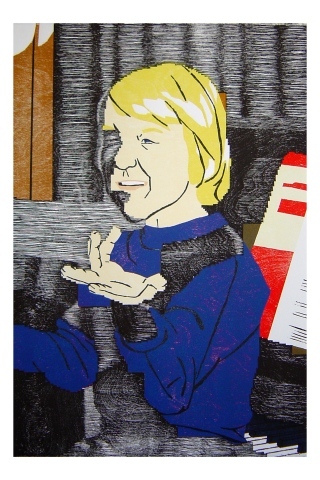 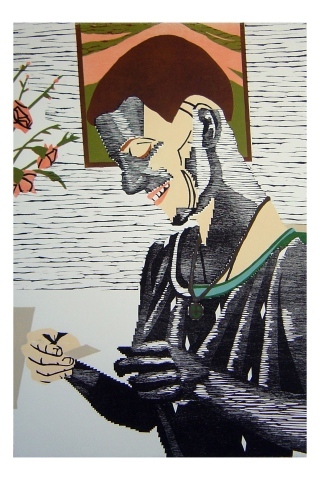 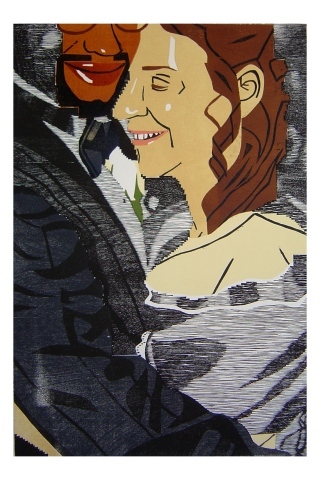 This series of ten Self-Portrait woodblock prints was completed during two artist-in-residence positions at the Lux Center for the Arts (Lincoln, NE) and Central Wyoming College (Riverton, WY).